Calling all explorers! Norway offers travellers the chance to mix natural beauty with amazing architecture and experience the local fresh cuisine. We’ve gathered together some of the spectacular sights you won’t want to miss on your next trip! Neighbouring countries: Sweden, Finland, Russia and Denmark over the Skagerrak strait. 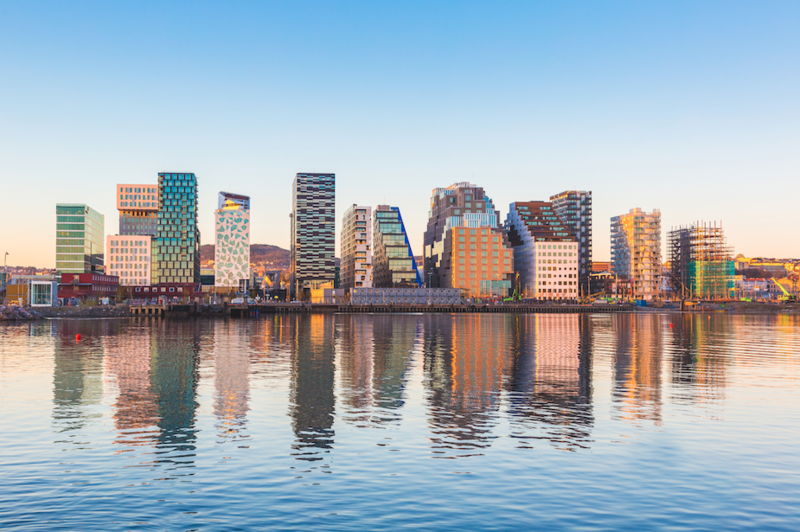 Oslo is Europe’s fastest-growing capital city and has been named the European Green Capital for 2019. Explore the museums and contemporary art scene before heading to the waterside full of unique bars and cafes. 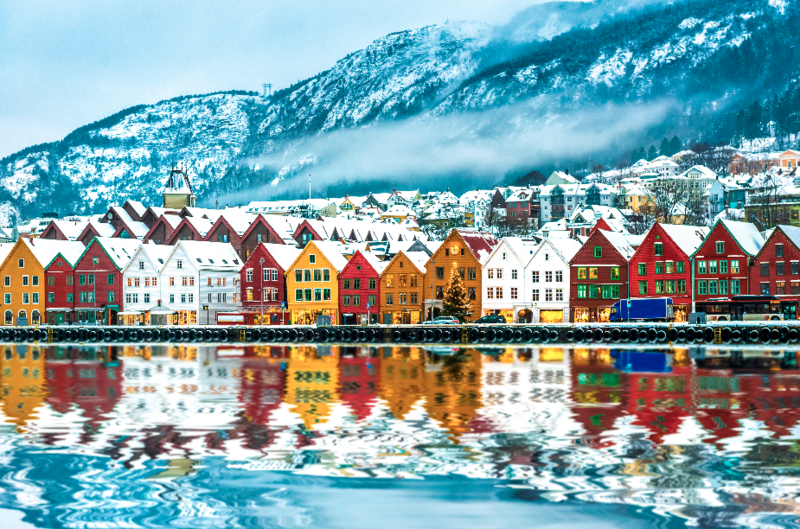 The “gateway to the fjords”, Bergen sits infront of the imposing seven sisters mountains. Take the time to admire the colourful wooden houses on the medieval Hanseatic wharf of Bryggen, which has UNESCO World Heritage status. 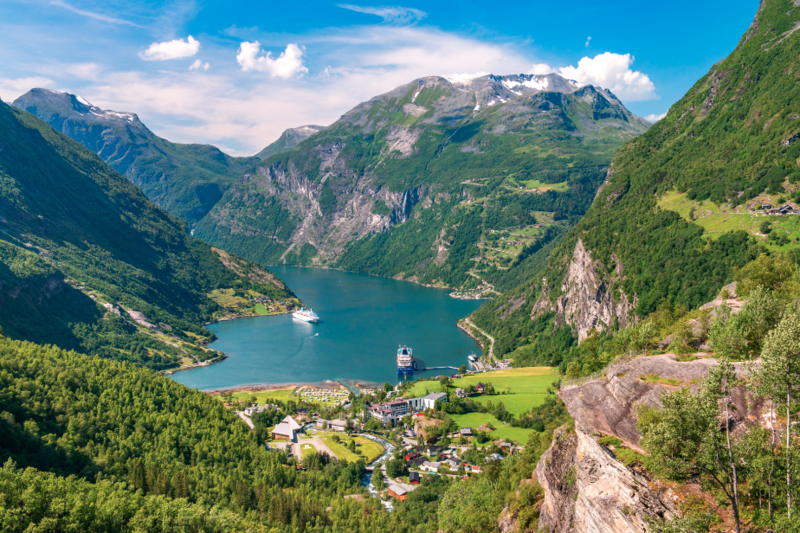 A UNESCO World Heritage Site, the 15km long Geirangerfjord is truly breath-taking. Seven Sisters and other waterfalls run down steep mountainsides to end here in the clear blue fjord. Try your hand at rafting, take a hike in the surrounding mountains, or find a sightseeing trip along the waters. 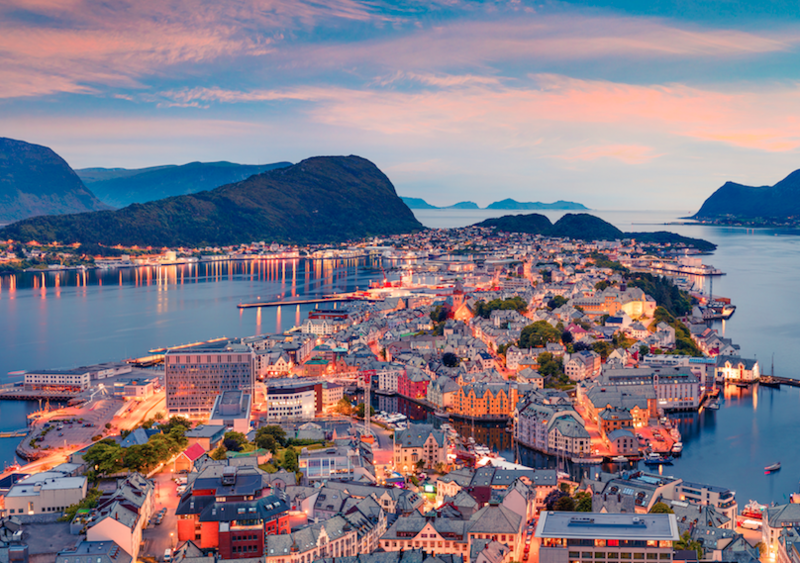 Combine the Art Nouveau buildings all around Ålesund with the stunning scenery where the mountains and fjords meet the ocean, and you can see why it has been called the “most beautiful city in Norway”. If you’re feeling active there are lots of opportunities for hiking or skiing before warming yourself with a bowl of local fish soup. 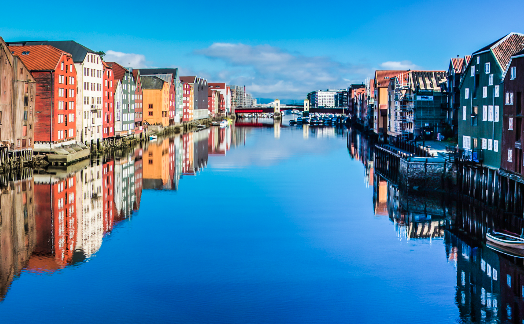 If you’re looking for perfect “Instagrammable” shots, Trondheim is a must-visit. Explore the waterways and colourful wooden buildings of Norway’s historic capital city, and the imposing Nidaros Cathedral which dates back to the 12th century. As the 2008 European Capital of Culture, Stavanger and the neighbouring Sandnes have a wide range of museums and cultural events for visitors to enjoy. 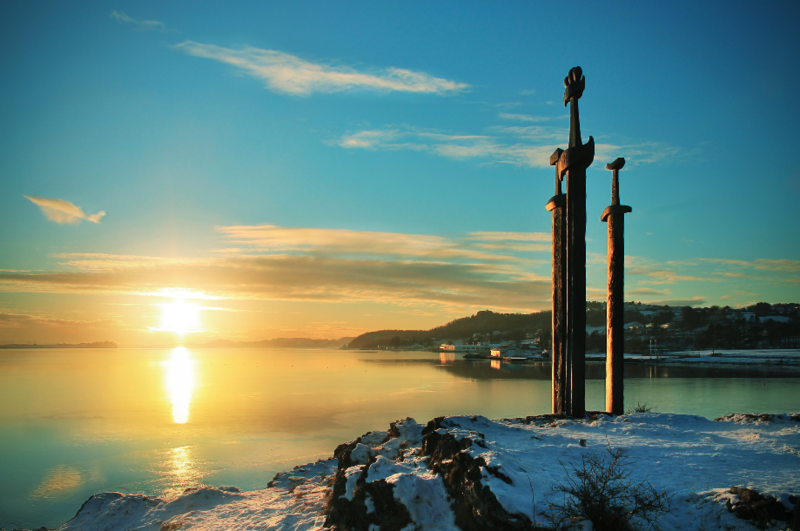 Take a walk up to the Sverd i fjell, three giant metal swords planted in a hill just outside Stavanger. The impressive monument celebrates an ancient Viking battle. Among the scenic attractions in the Stavanger Region is the Lysefjord. 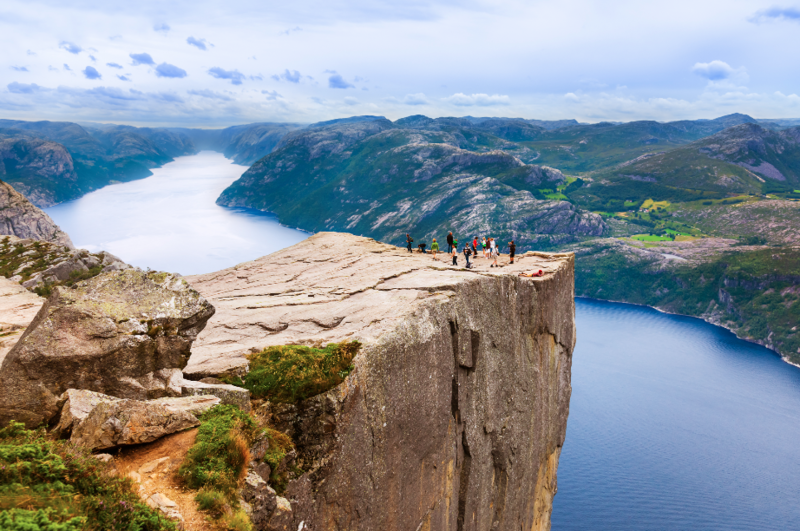 Jump on a sightseeig cruise along the fjord or climb the popular route up Preikestolen (the Pulpit Rock), a mountain plateau with spectacular views. 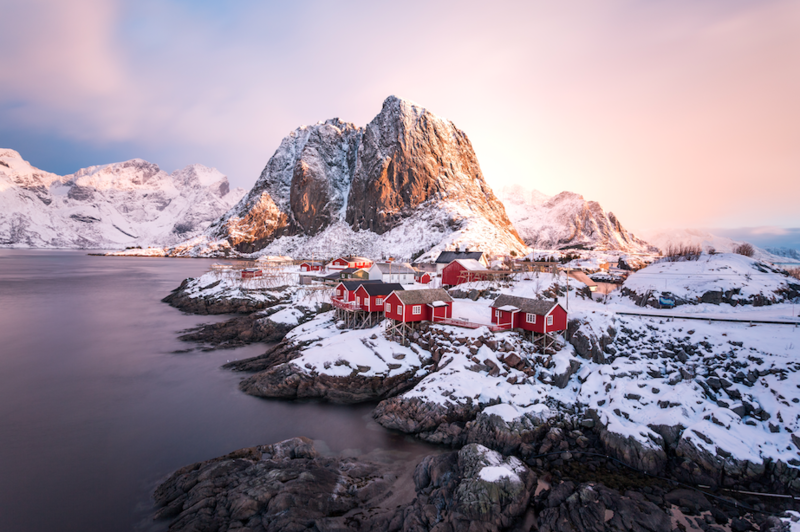 The perfect escape from city life, the Lofoten Islands are home to traditional villages such as Hamnøy, where fishermen and artists earn their living. In recent years the area has become popular for adventurers looking for hiking, climbing, kayaking, skiing and surfing. If you’re more interested in photography, the beaches of white sand contrast beautifully with the views of the Northern Lights. 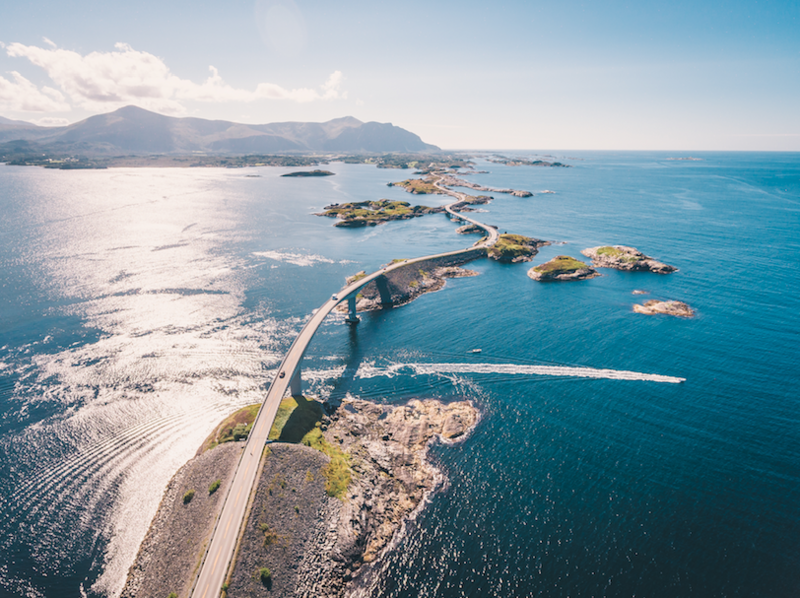 The Atlantic Road was voted Norway’s ‘Engineering Feat of the Century’ and has National Tourist Route status, and it’s easy to see why. The unique stretch of road takes you right out to the ocean’s edge, with eight bridges taking you over a series of small islands and islets. Connecting Averøy with the mainland, the coastal scenery and history along the drive will feed all your senses. Halfway between Norway and the North Pole sit the Svalbard Islands. Frozen wilderness meets rich wildlife in the realm of the polar bear. Experience life in an arctic city or join an expedition on foot or even dog sled! 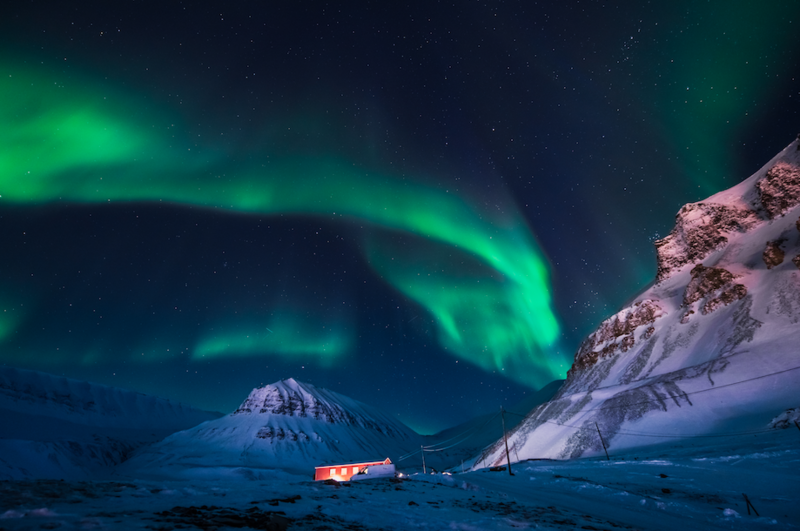 The seasons change dramatically on Svalbard, with Polar Summers – the time of the Midnight Sun – making way for the enchanting Northern Lights Winters. Travelling around Scotland? Don’t forget to tag @KumhoTyreUK (Twitter) @kumhotyre_uk (Instagram) in your photos and tell us about other sites you’ve been to in this spectacular country. Or simply contact us here to share your adventure with us. Happy travels!